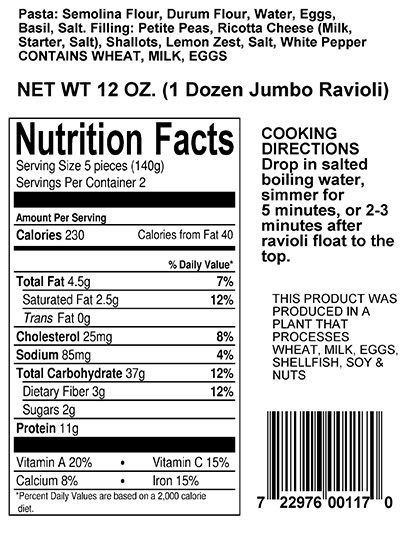 Our unique fillings of bold flavors are created using only the finest ingredients and then filled into our special blend of extra thin pasta. 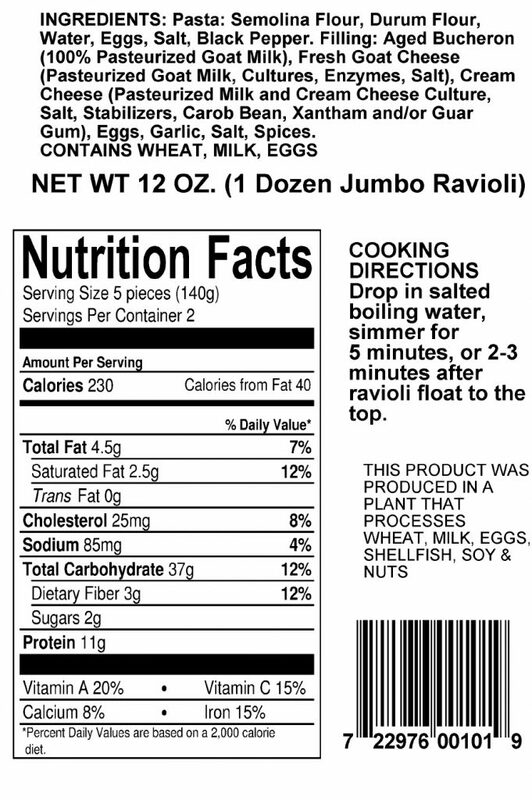 Take us Home for Dinner Tonight! 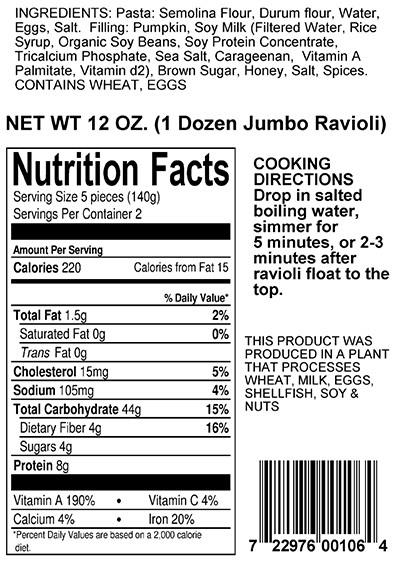 Take us home and taste The Ravioli Store difference! 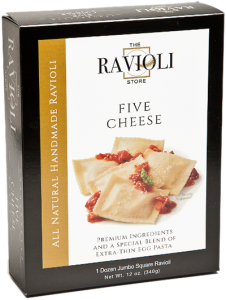 Our All Natural Handcrafted Five Cheese Ravioli are created with Whole Milk Ricotta Impastata, Fontina, Bel Paese, Genuine Pecorino Romano and Genuine Parmigianino Reggiano filled in a Special Blend of Extra Thin Egg Pasta. 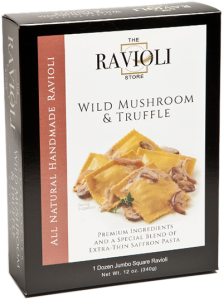 Our All Natural Handcrafted Wild Mushroom & Truffle Ravioli are created with Roasted Mushrooms, Porcinis, Whole Milk Ricotta Impastata, Garlic and White Truffle Oil filled in a Special Blend of Extra Thin Saffron Pasta. 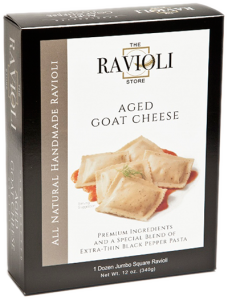 Our All Natural Handcrafted Aged Goat Cheese Ravioli are created with Boucheron, a French Aged Goat Cheese, Fresh Goat Cheese, Cream Cheese Garlic and Herbs filled in a Special Blend of Extra Thin Black Pepper Pasta. Our All Natural Handcrafted Pumpkin & Sage Ravioli are created with Savory Roasted Pumpkin, Sage, a hint of Honey and Brown Sugar filled in a Special Blend of Extra Thin Egg Pasta. 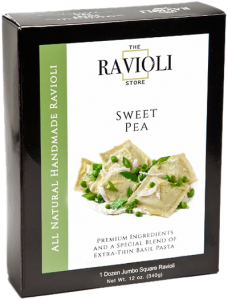 Our All Natural Handcrafted Sweet Pea Ravioli are created with Peas, Shallots, Lemon Zest, Garlic and Whole Milk Ricotta Impastata filled in a Special Blend of Extra Thin Basil Pasta. 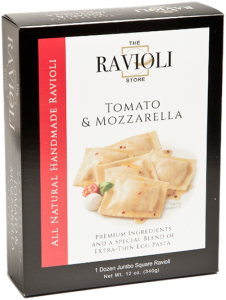 Our All Natural Handcrafted Tomato & Mozzarella Ravioli are created with Ripe Plum Tomatoes, Fresh Mozzarella and Fresh Basil filled in a Special Blend of Extra Thin Egg Pasta. 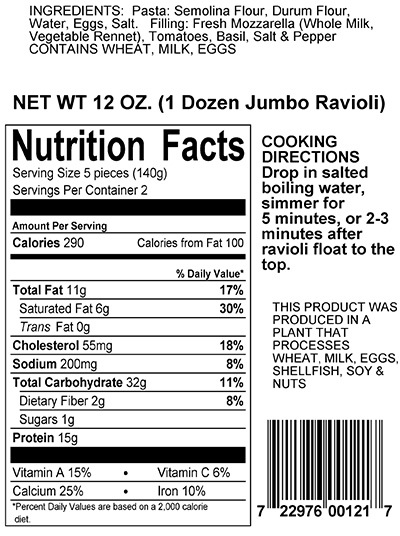 You’ll find our all natural handcrafted ravioli in these fine retail stores. 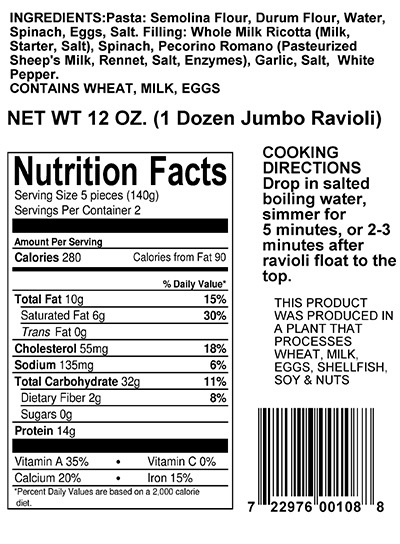 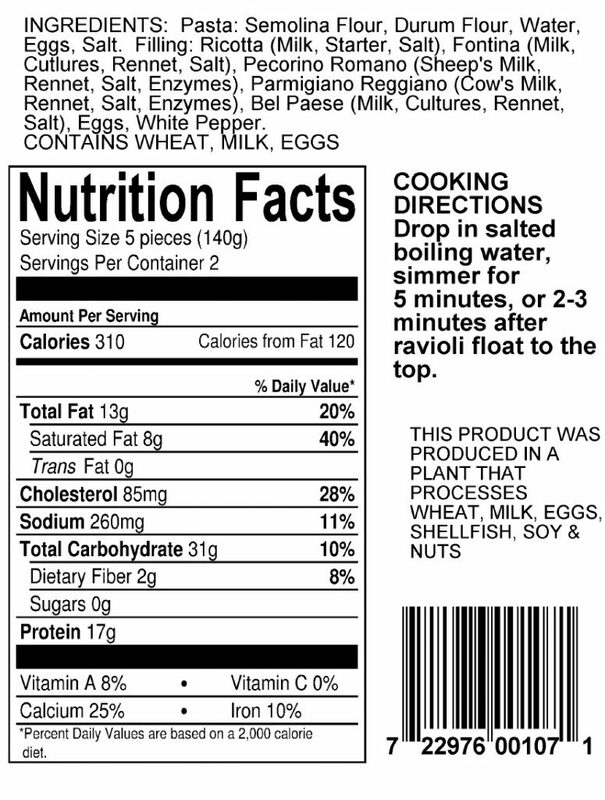 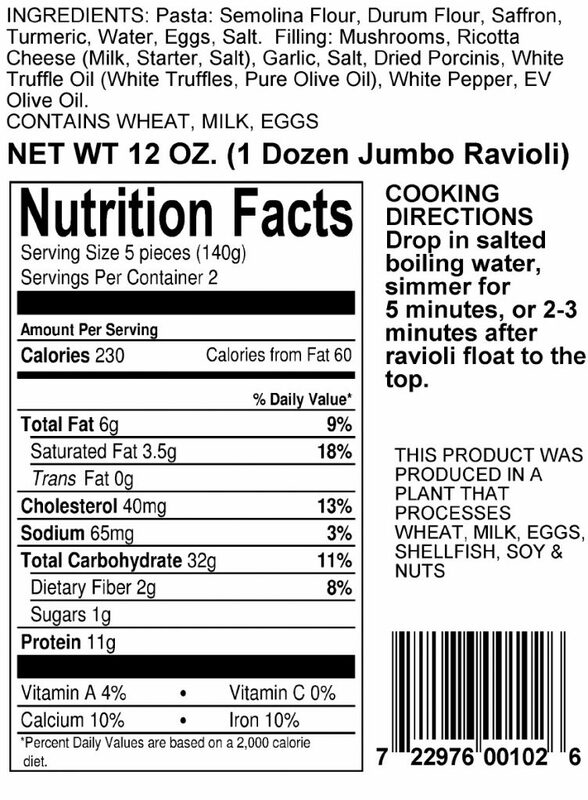 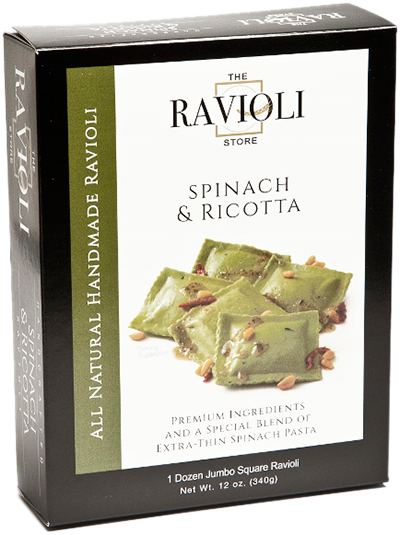 Keep checking back as more and more stores will be carrying our artisan ravioli.